Take your pick of a Burt Reynolds tribute, Jeff Goldblum classics, midnight cult faves and much more amongst our weekend picks. Be sure to check out what else is playing amongst the film houses playing the selections, and visit our theatres page to explore what else is showing in the world of cult faves and classics! Starring Cary Grant, Katharine Hepburn and James Stewart, and later remade as HIGH SOCIETY. 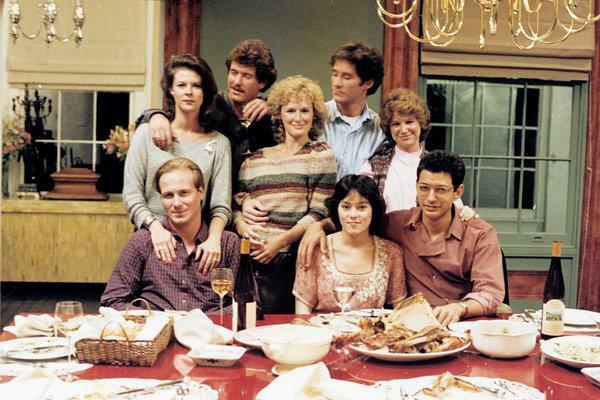 Among a robust ensemble of actors, Jeff Goldblum commenced his winning ’80s big-screen run with his snarking/charming turn as a People Magazine reporter who joins a reunion of now-thirtysomething college friends following the funeral of one of their own. Kasdan’s sleeper hit and Best Picture Academy Award nominee overflows with rue, ribaldry, reflectiveness, and a Motown-infused soundtrack. 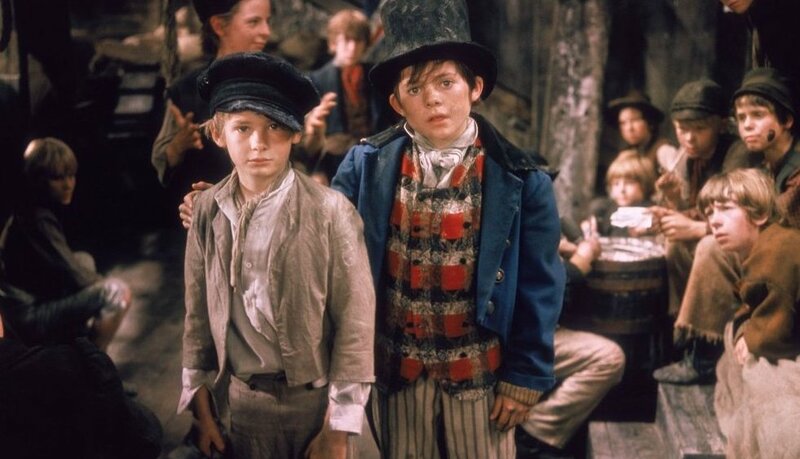 Nicolas Roeg started his directing career with this auspiciously audacious film. 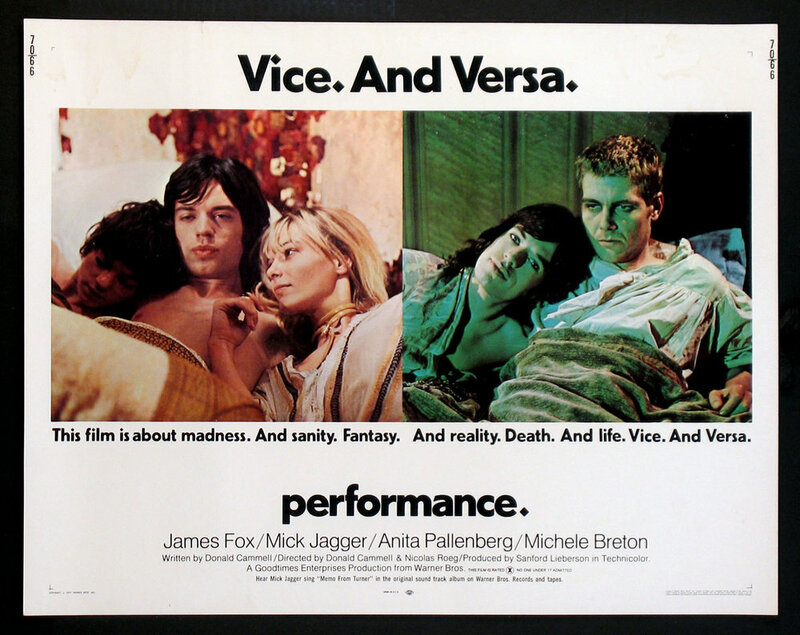 PERFORMANCE stars James Fox as a violent London gangster who holes up in the home of a reclusive rock star (Mick Jagger) and experiences a psychedelic-induced transformation. Artist William Blake (Johnny Depp) moves to the West to find a future, but finds trouble instead. With bounty hunters on his tracks, the walking Dead Man is lead on his spiritual journey to escape by an outcast native called Nobody. Hauntingly directed by Jim Jarmusch with a gritty, atmospheric score by Neil Young and beautifully austere black-and-white photography. Another Double Feature in Film Forum’s series of 1970s comedy greats from an era where all the rules of film making were being broken. $5 Tickets! Holy high camp! 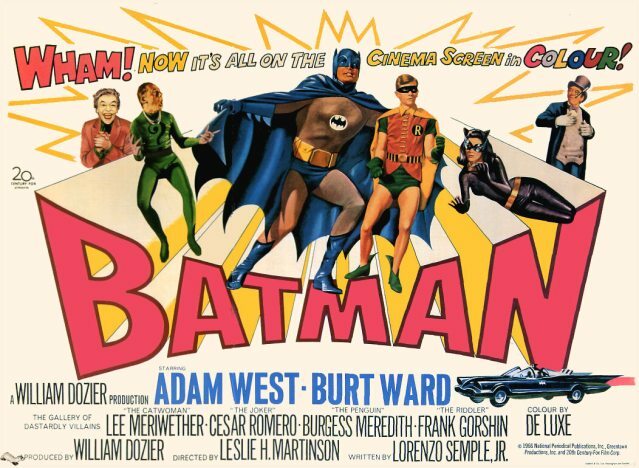 Experience the righteous action extravaganza that took the legendary 1960s Batman series leap from the TV screen to the big screen in glorious Technicolor with Adam West and Burt Ward as the caped crusaders. Reteaming with ace cinematographer Oliver Stapleton, JulienTemple again enlivened the movie musical, with loopy romance ensuing once furry aliens Jeff Goldblum, Jim Carrey, and Damon Wayans crash-land in Southern California and are given manscaping makeovers by beauticians Julie Brown (who co-scripted, adapting her previously released title song) and Geena Davis (whom Goldblum married mid-production). The score is by music titan Nile Rodgers. Baz Luhrmann’s extravaganza may be all about love, but until you've seen the movie, and sung the songs, and learned that lesson in a movie theater with 200 other heart-swept people, you'll never really know what it's like to be in love. Your heart will swell! Your lungs will burst! Your brain will explode with rainbows! Props for some special interaction, plus a Can-Can dance contest! Norman Jewison-Steve McQueen Double Feature! In THE THOMAS CROWN AFFAIR, McQueen stars as a high-class bank robber who becomes involved with insurance investigator Faye Dunaway. In THE CINCINNATI KID, McQueen is an ambitious young gambler poised to triumph over master poker player Edward G. Robinson in Depression-era New Orleans. The Astor presents a Burt Reynolds tribute Double Feature with back to back classics with the dashing mustachioed leading man. Every man’s dream comes true for William Thacker (Hugh Grant), an unsuccessful Notting Hill bookstore owner, when Anna Scott (Julia Roberts), the world’s most beautiful woman and best-liked actress, enters his shop. Catch this romantic comedy as part of the Nitehawk’s weekend brunch screening. From the archives of Director Quentin Tarantino, watch his game changing, and utterly quotable, 1994 art house crime caper via his personal 35mm Print. Put your weight on it! Rudy Ray Moore is the Disco Godfather, an ex-cop and nightclub owner of the raddest, baddest discotheque in town. When the scourge of angel dust threatens his community, he’ll have to become a martial arts wrecking machine, and partner with Carol Speed (The Mack, Abby), to rid the streets of “the whack.” Packed with unforgettable dance sequences, killer tunes, and hallucinogenic interludes, Disco Godfather can’t be beat! Neil Marshall's modern horror marvel, an incredibly unique and excruciatingly claustrophobic take on the vampire myth. One of the most terrifying movies of the last 20 years. The enchanted lives of a couple in a secluded forest are brutally shattered by a nightmarish hippie cult and their demon-biker henchmen, propelling a man into a spiraling, surreal rampage of vengeance. A stunning homage to 80s horror with Nicolas Cage in full manic mode. NEKROMANTIK 2 begins right where the first film disgustingly left off, but it’s not long before the film finds its own sickeningly romantic direction. Be warned, this isn’t for the squeamish. BIG (1988 / DCP), SILENCE OF THE LAMBS (1991 / DCP), SUSPIRIA (1977 / DCP), HANNIBAL (2001 / 35mm Print), POLICE STORY (1985 / 4K DCP). **Note Police Story starts at 11:40pm // All films screen as single movie sessions.